Brick: Hey, you! Yeah, you! If you’re seeing this now, you should know that Butch is mine! He ain’t just my favorite brother in the whole world, but I love him from here to eternity. If you dare touch him, I’ll hunt you down, bludgeon you until you bleed, and execute you. Personally! Got that? Good. Butch: Well, looks like they got the message. But…Umm…Brick…You’re holding me a bit too tight. And now I present to you, what has to be in my opinion the greatest guilty pleasure pairing of all time in The Powerpuff Girls and The Rowdyruff Boys universe, Brick/Butch or Brickutch or Butchrick, whatever you may prefer. I swear there’s something so appealing about two hotheads having such an intimate connection with each other because of how much chemistry there is. Sure, in Brick’s and Butch’s case they’re brothers. However, I can see a closeness that they share, which is more than brotherhood. 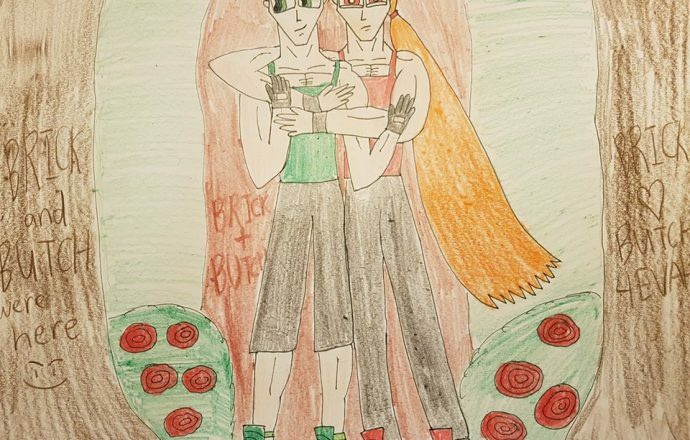 Moreover, it’s rather fun having Brick as the tough, rough seme and Butch as the strong yet submissive uke, thus having Brick be really protective of his most beloved brother, Butch. 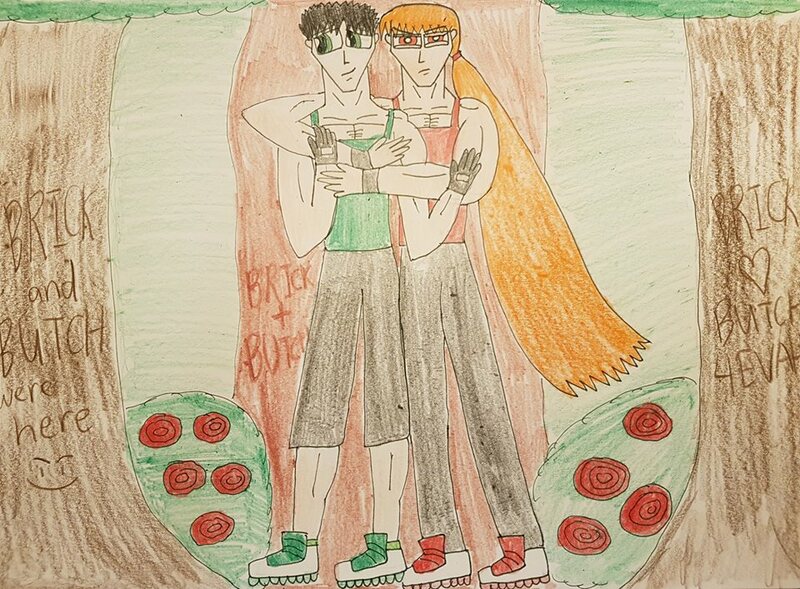 I am very sure that the Blossick, Brickercup, Butchercup, Blossutch, Brickubbles, and Butchubbles shippers are going to be out for my blood because I thought that Brick/Butch would be an adorable pairing. Well, I say bring it on. What kind of fascinates me about this pairing is that it’s more of a chemical attraction rather than superficial romance. These guys feed off of each others’ strong impulses and bounce off of each other so effectively in terms of communication. Even when they pick on Boomer as part of the elder brothers who think they are big, tough, strong, and mean, they have this chemistry that makes this pairing plausible in a weird way because these two explosive dudes can still have each others’ backs, in spite of everything they go through. So, that’s my take on Brickutch or Butchrick. I know people are not fans of this pairing, as they mostly abhor it, but as for me, I’m kind of cool with it. I don’t think Boomer would ever be paired up with either Brick or Butch because I’m pretty sure it will just be chaos all over again. Plus, I prefer to have Boomer be shipped with all three Powerpuff Girls and let Brick and Butch have either Blossom and/or Buttercup or even each other! Thanks for taking a gander at this piece of fan art. Have a great summer!